Bill has lived in Eaglesham since 1992 and has been part of village groups and clubs over this time. Eaglesham plays a big part of Bill's life, with his wife being born in the village and now running a successful business within Eaglesham. 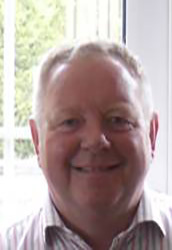 Although retired from corporate life after 35+ years working within the pharmaceutical industry, Bill is still active and involved with consultancy opportunities and recently has taken up a voluntary role within a Scotland wide organisation. Bill is excited about being involved with community and local groups and with AOE Wind Farm Community Fund, as access to this fund by groups will enhance the village of Eaglesham. Local groups should take advantage of this funding and ensure that others are aware of this outstanding opportunity.